Tim Hortons Smile Cookies are back! Get a smile and give a smile to help charities! 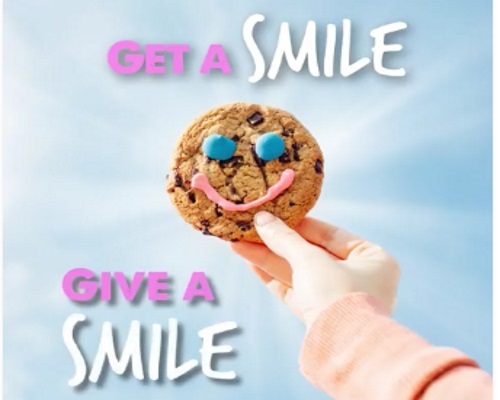 Starting today until September 17 purchase a Smile Cookies at your local Timmies for $1.00 and you’ll be helping support local charities like hospitals, food banks and children’s programs. What's great is 100% off proceeds from this campaign go to local charities.